I was a working student while in college. I saved a lot to meet all my needs. One treat I give myself back then is a trip to Wendy's Salad Bar. 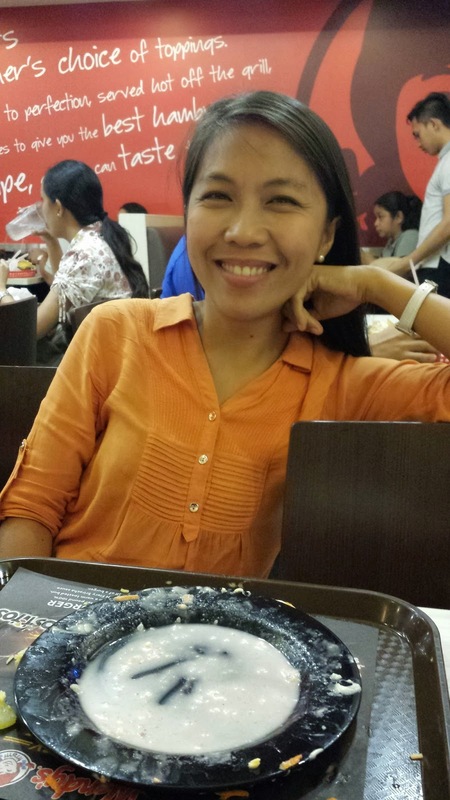 Wendy's Taft was my favorite store, where I had many wonderful moments with my friends. 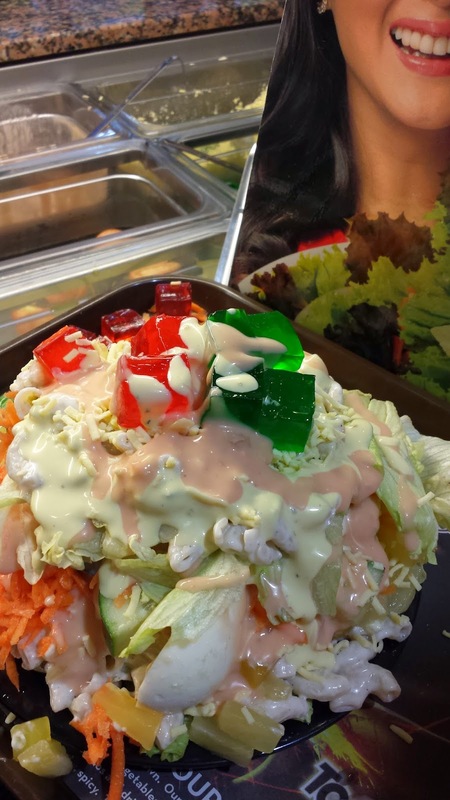 Jeff Belsonda was the best to make the salad tower. 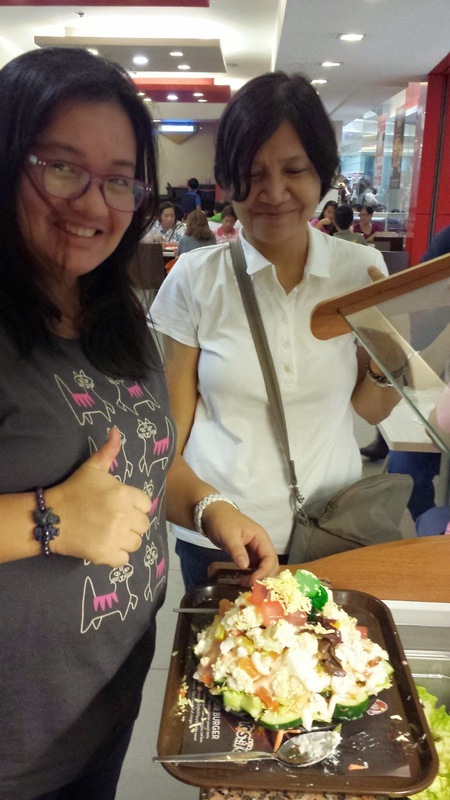 We were like 10 to 12 friends who'd share but we still couldn't finish the salad. 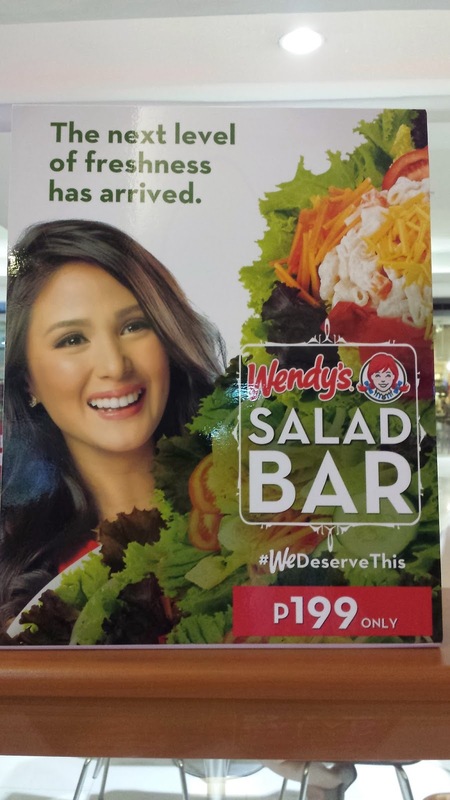 That's how sulit Wendy's Salad Bar then. 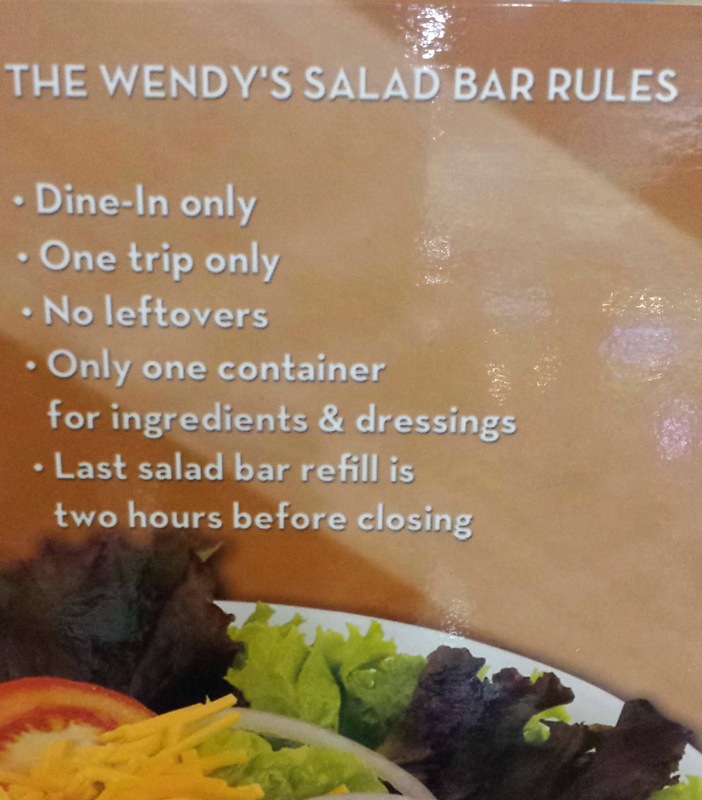 For those who grew up in the 70s, 80s and 90s, a shout-out for the return of Wendy’s Salad Bar! 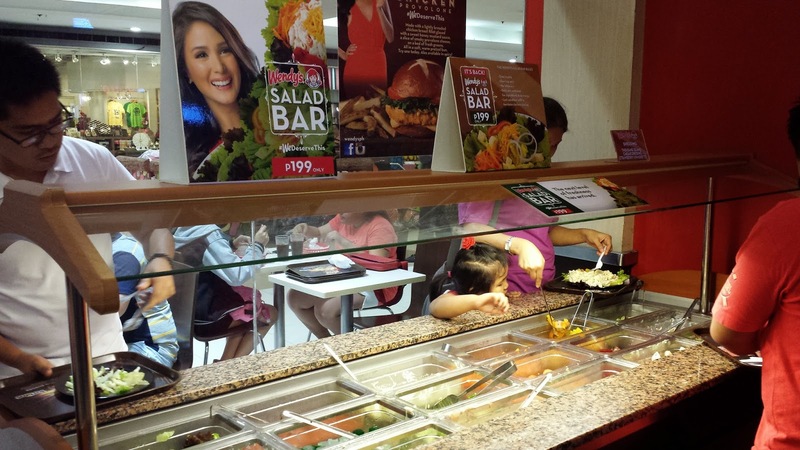 At P199, diners are allowed one dine-in trip to the Salad Bar to fill their plate with ingredients, including dressing. 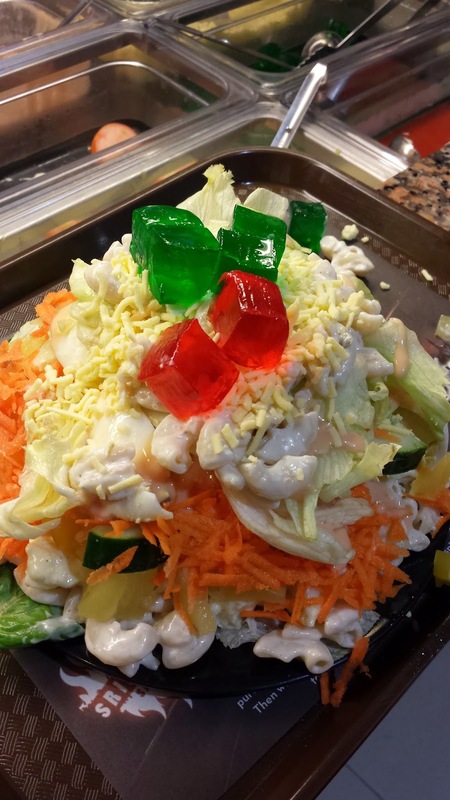 For my much-awaited reunion with Wendy's Salad Bar, I asked my Kumareng Jingle out. The plate they gave us is round, as compared to the rectangular styro before, which easily breaks, making the salad splatter all over the serving tray. 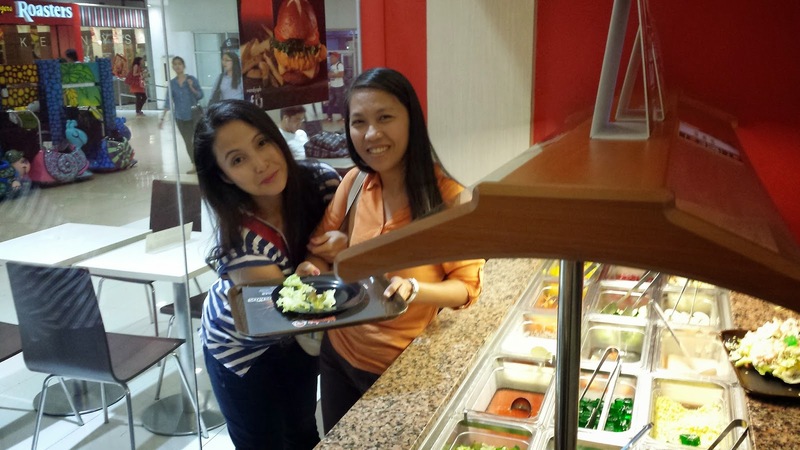 Wendy's Salad Bar is available at select Wendy's store only (Megamall, SM North, oh, I forgot the other one). Is it worth at P199? Yes, definitely! Jingle is a runner and mountaineer, she eats like a man! When she visits us at home, I cook rice like we have 8 visitors coming. We didn't order other food, our Wendy's Salad Bar plate was enough to fill our empty stomach for the whole night. Jingle made her very own salad masterpiece from a bounty of fresh ingredients laid out for the picking: lettuce greens, cucumber slices, tomatoes, grated carrots, macaroni salad, gelatin (now enhanced with lychee), grated cheese, and additional options like potato salad with bacon bits, hard-boiled egg, and tropical fruits. Wendy’s now also offers three salad dressings—the classic Thousand Island, the all-time favorite Caesar, and the refreshing newcomer, Strawberry Vinaigrette. I asked other diners, if Wendy's Salad Bar is a value-for-money. Ivy henson and her aunt, Imelda Carreon, aunt. 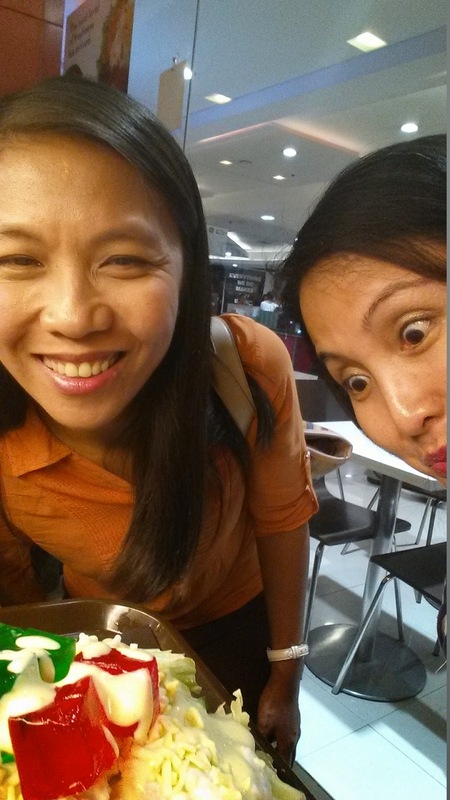 They said, "ok, sulit for sharing!". 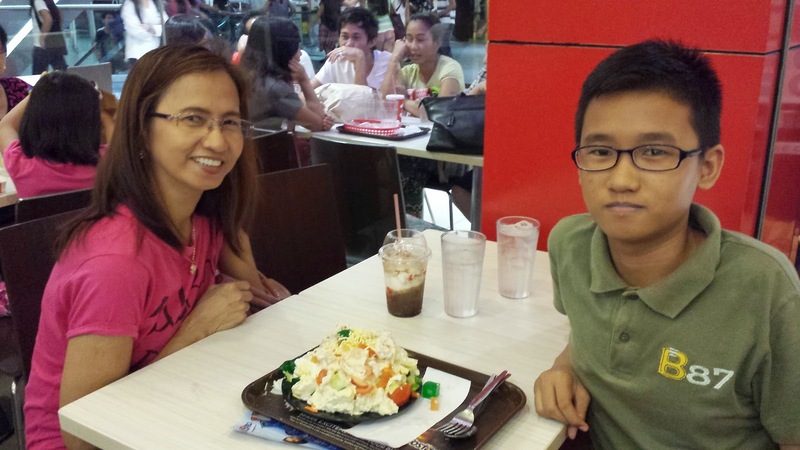 Teresa Nicolas, with son, JP. 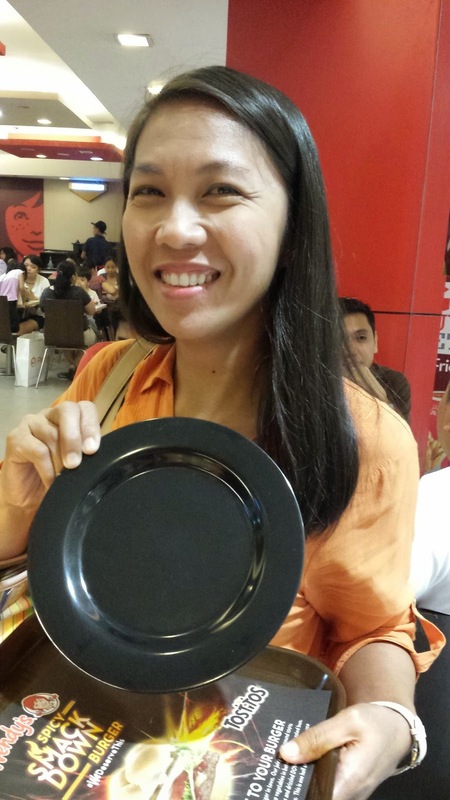 Ms. Nicolas said, "sulit kasi mahilig sa salad ang anak ko". Happy tummy, Happy Mare! Need I say more?